First, Taliban have extensively and systematically attacked the Kondalan, Hamza, Hossaini villages in Uruzgan Khas district, and the vast areas of Malistan and Jaghuri, (as they officially claimed the responsibility), which clearly illustrates the attack on the civilians. For example, the Taliban’s night raid on the village of Hossaini in Uruzgan Khas – which had virtually no military target, such as the ALP, ANA or ANP as it was just a residential village, and even [Abdul Hakim] Shojaei, a former ALP commander, had not crossed the village – could not be anything but a targeted attack on the civilian population, in which at least 20 civilians were killed and three hundred families were displaced. This issue can be registered and prosecuted as a case even in the International Criminal Court, and can be investigated by independent international bodies. This is because attack on the civilian population is considered a crime against humanity, according to the Rome Statute of the International Criminal Court. In fact, 57 civilians were killed by the Taliban in this case and similar cases only in Kondalan, Hamza and Unchhi. So, we can say that in these cases, the international laws on war and armed conflicts have been violated in a variety of ways, which all require an international investigation. 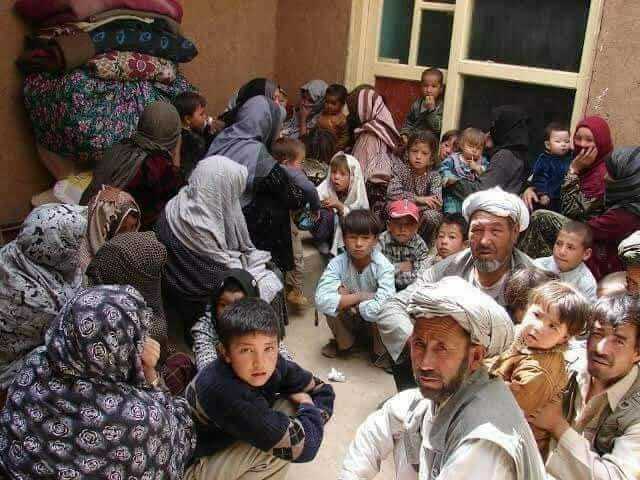 Second, The widespread and massive Taliban attacks on Malistan and Jaghori districts have caused at least 4,000 people to flee their homes and get displaced, children are deprived of their education rights during the school season and schools have remain closed and non-operative in these two districts. Furthermore, the Taliban deliberately turned the houses of the people into barricades and even tried to force the residents of these houses to prepare food for them and use them as a human shield against the government attacks. Clearly there were civilian casualties in these clashes, which have not yet been accurately reported. Firstly, the attacks will result in civilian casualties and the destruction of villages and residential houses, causing thousands of displacements and homelessness. If so, along with other existing problems, we will witness a humanitarian crisis in its various dimensions, including violations of international humanitarian law. The crisis, in accordance with the principle of responsibility to protect (R2P), will obligate the United Nations and the international community to protect the lives of civilians and the crisis of IDPs will turn into a major national and international problem. Secondly, it may cause the entire Hazaristan to get occupied by the Taliban, in which one of the basic foundations of the authority and legitimacy of the government and the current system, which is considered to be the achievement of the seventeen-year presence of international community in Afghanistan, would be out of the government hands and as a result, its authority would be severely damaged. Therefore, defending Hazaristan and the Hazara community in fact should be regarded as caring for the strategic consequences it might have for the system by Afghan government and international partners. According to national and international laws, the Afghan government is required to protect its citizens against the terrorist, regardless of their ethnicity and religion, but as shown by Uruzgan, the Afghan government has not taken necessary steps and appropriate measures for protecting the lives of its civilian citizens. And in terms of Jaghuri and Malistan, after a massive public protest and a lot of political pressure from the Hazara officials and representatives, military units were deployed to the area after a long delay by the government but it is still unknown what will they do in this regard. The United Nations should put pressure on the Government of Afghanistan, in accordance with its international commitment, to effectively defend the Hazara community against the Taliban without any discrimination and ethnic or religious considerations. Fourth, If the Taliban’s attacks, as described, are not controlled and halted, this crisis could complicate the conflict and turn into a dangerous conflict for international peace and security, such as in Syria, in which the need to fight against terrorism will double the responsibility of the international community to maintain the international peace and security. Fifth, In order to prevent this situation, it is suggested that the international community and its accountable institutions first force the Afghan government to effectively protect its citizens without discrimination on the ethnic and religious grounds, and then, the international community should support and assist Afghanistan in terms of equipment, air operations, training, and intelligence within the framework of Resolute Support Mission and Security Cooperation Agreement between the Afghan and American governments; and thirdly, if the Afghan government fails to comply or shows neglect, international institutions, including Resolute Support forces should still be responsible for defending civilians and the Hazara community against the ethnic cleansing of the Taliban, or at least empower the community under the supervision and leadership of a Resolute Support force to protect itself and contribute to fighting against the terrorism, and maintain the constitutional order in Afghanistan. And in the end, the international community and foremost governments and neighboring countries are being urged to put pressure on the Taliban to observe the humanitarian law and Geneva conventions and other international regulations regarding the ​​protection of civilians and to avoid attacks on civilian targets, or to use the homes of the people as a barricade and to avoid any kind of persecution based on ethnic or religious differences. Otherwise, as a terrorist group they should be put under the international pressures and no more legitimacy shall be given to this group. This piece is picked and translated from facebook status of Mr. Ahmadi. The views and opinions expressed in this piece are those of the authors and do not necessarily reflect the Reporterly.